However, shirts, like any other garment can suffer problems, primarily due to wear or poor manufacturing processes. “Ring around the collar” is a very common shirt malady. As a shirt is worn, the neckband, collar fold and cuffs are exposed to ground-in soils from perspiration, body oils, colognes, hair products, medicines, sun block and other types of skin preparations. 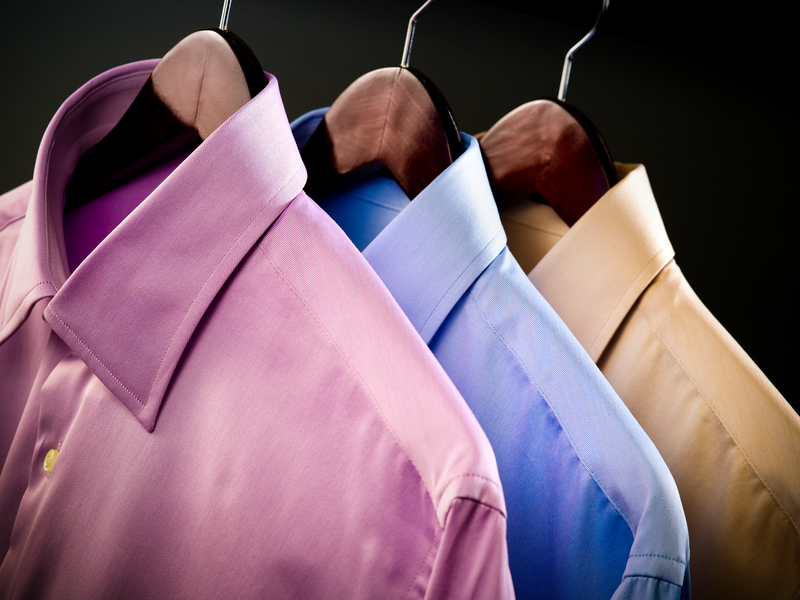 To prevent excess build-up of soil in the collar and cuff area, shirts should be laundered after each wearing. Another common shirt problem is yellowing of the underarm area. This can be due to either sweat left in a shirt or by excessive deodorant. Perspiration left in shirts for extended periods can actually weaken the fabric, causing it to wear out prematurely. Aluminum chloride found in deodorants can also weaken underarm fibers. Two tips: When applying antiperspirants, allow them to dry before dressing. Secondly, wash your shirts soon after wearing in order to minimize this type of damage.